Ischemic heart disease is a leading cause of death on a global scale, placing major socio-economic burdens on health systems worldwide. Myocardial ischaemia and reperfusion (I/R)-induced tissue injury is associated with alteration in activity of inflammatory system and nitric oxide pathway. Sumatriptan, which is mainly used to relieve migraine headache, has recently been shown to exert anti-inflammatory properties. In this study, we aimed to assess the possible cardioprotective effect of sumatriptan in a rat model of I/R injury. Male Wistar rats were subjected to 30-min ligation of left anterior descending coronary artery and 120-min reperfusion. Animals were randomly divided into five groups: (1) Sham (2) I/R (3) I/R treated with sumatriptan (0.3 mg/kg i.p.) 20 min after induction of I/R rats, (4) GR127935 (a selective antagonist of 5-HT1B/D serotonin receptors; 0.3 mg/kg) 20 min after induction of I/R, and (5) GR127935 (0.3 mg/kg) 15 min before administration of sumatriptan. Post-infarct treatment with sumatriptan increased left ventricular function, which was damaged in I/R animal’s heart. Sumatriptan (0.3 mg/kg) decreased lipid peroxidation, CK-MB and lactate dehydrogenase levels; tumor necrosis factor concentration; and Nf-ҡB’ protein production. Treatment with sumatriptan significantly increased the endothelial nitric oxide synthase (eNOS) expression consequences nitric oxide metabolites’ level in I/R rats. Also, injection of sumatriptan remarkably decreased myocardial tissue injury assessed by histopathological study. 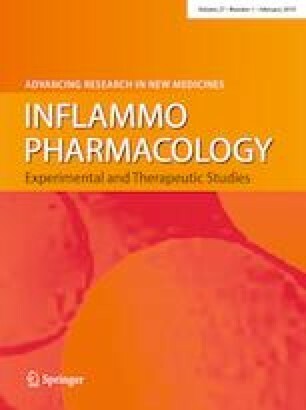 These findings suggest that sumatriptan may attenuate I/R injury via modulating the inflammatory responses and endothelial NOS activity. But therapeutic index of sumatriptan is narrow according to the result of this study. Mohammad Sheibani and Hedyeh Faghir-Ghanesefat are considered as the first author of the manuscript. This study was funded by Experimental Medicine Research Center, Tehran University of Medical Sciences, Tehran, Iran; grant no. 97-01-158-37318, and by a grant (96002757) from Iran National Science Foundation (INSF).